FINALLY we saw a break in the weather last weekend which saw local boaties head far and wide looking for a tasty feed. With not a lot of swell about outside, Break Sea Spit was an option for experienced crews along with the southern gutters. Out at Burrum a few prawns have been reported in the tributaries. Other captures have been flathead between the ramps, barra in the mid-reaches whiting on black bank and some queen fish around the markers. The local reefs were a bit slow over the small tides last week but should improve this week. Fishing with fresh baits like pencil squid and hardy heads will see the best results. Sweetlip, blackall, grey mackerel, school mackerel, cod and blue parrot have been reported from the local reefs. The wide grounds have been accessible for the past week and saw some good fishing at times. Coral trout, sweetlip, hussar, parrot and cod were the main catches inside. Outside crews mixed it up with spanish mackerel, wahoo, coronation trout, red throats and the usual mix of reefies being reported. Sharks continue to plague the reefs. Moving on is a must once the tax man turns up. Out the end in the second channel big GTs are taking live school mackerel for those after a epic battle. Other species being reported are golden trevally and queenfish. In the first channel gar, whiting and flathead have been reported on the high tide with fresh baits best. 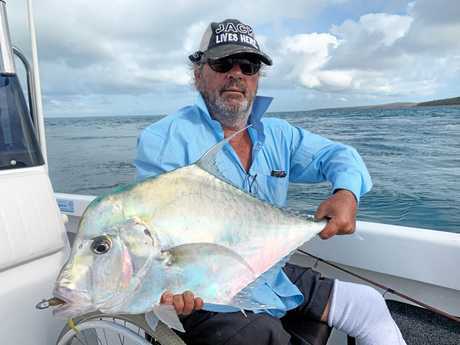 Up in Platypus Bay there have been a few longtails along with mac tuna on the surface. Working stick baits like the Hervey Bay locally made Nashys Custom has been very successful. 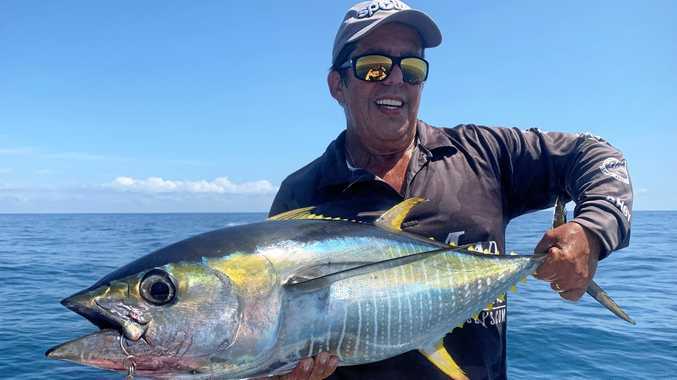 Other species up there that are worth targeting are sweetlip, scarlets and snapper at night on the reefs along with trevally. Salmon were slow last week but should improve this week and will be certainly worth targeting. Working the drains and flats of the Mary system is also a great option for the sportier angler with the ever reliable gold bomber getting good results of late. Live bait is also a good option. It can certainly entice them on a tough day. Other captures in the strait have been flathead from the creek mouths, grunter in the holes and blackall and blue parrot on the ledges. premium_icon FISHING: What bait is getting bites around the Bay?